1977 Topps Charlie's Angels Series 4 Mini Unopened Pack Series?Only In Fun Bags! 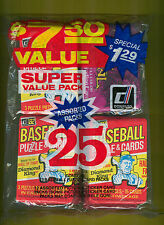 1982 Topps ET Sticker Set Box + Free Album! 1974 Topps Wanted Posters 24 Packs Loose No Box Mint Condition! 1978 Topps Superman The Movie Series 1 OPC Unopened Box 36 Packs! NICE BOX! 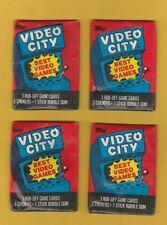 1992 P-Pee-Chee OPC Wacky Packages Stickers Box 36 Packs Tough! Sealed! 1983 Fleer Dragon's Lair Box Only 29 Packs Tough!